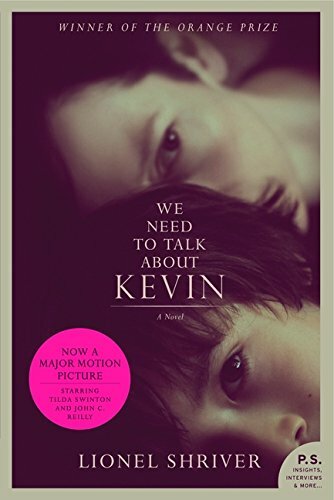 BOOK REVIEW: We Need To Talk About Kevin | Birth.Movies.Death. The film WE NEED TO TALK ABOUT KEVIN is critically adored and poised to win a slew of awards. Erin from Forever Young Adult stops by to urge you to read the book, too. When I was eleven, I checked out a copy of The Amityville Horror and read it in secret (my parents recently having grounded me from reading, which was the only punishment that worked for a girl with few friends, no TV and little desire to talk on the phone), speeding through pages in the forty-five minutes between the time that my bus dropped me off and my mom slumped through the door, home from work. One day we had a storm--one of those late summer, incredibly short, knock-out downpours that South Texas is so fond of--and we lost electricity. I read by candlelight and after I'd secreted away the book I rushed to the door, guilty, to greet my mother . . . only to be greeted by a swarm of buzzing insects instead. You can imagine how this incited Tinier Me's terror. I was convinced that my house was possessed by the ghosts of some murdered children and that I'd soon be driven away, mad as a hatter. So believe me when I say this: no book has scared me quite so much since as We Need To Talk About Kevin. Published in 2003, Lionel Shriver's book is taut and thrilling, one of those books that makes you want desperately to put it down, if only to get some emotional relief, even as you race towards the end with a stomach full of dread. On its face, it shouldn't be considered a thriller in the slightest; an epistolary work, the book takes the form of Eva confessing to her estranged husband Franklin her view of their marriage. The book starts out slow and indulgent in the way that much of recent literary fiction has become: a love letter to privilege and ennui. Shriver takes her time crafting this universe, and after reading the first few chapters I snapped the book shut with frustration. I get it, I mentally communicated to the book. They're awful people. Let's get on with it. It wasn't until I'd worked my way past the formal, stilted beginning (formal and stilted for a reason, mind; the prose serves not only the pacing of the book but the character of Eva herself) that I realized that I'd left boredom and impatience far behind. Instead, my throat was coated in fear, my stomach was in knots and I found myself wondering how a book this sanguine could terrify me so. But what makes Kevin frightening is just how real the universe Shriver has built seems; the fear is in knowing that, as a parent or as a coworker or as a fellow student, you cannot prevent a Kevin from happening. You see, Eva and Franklin are the kind of parents that many of us are, will be, or know we will be and therefore refuse to have children. I do not consider Eva or Franklin to be good parents. Franklin is blinded by his ideals of what a family should be and Eva has a nasty, selfish streak that feeds her discontent on the best of days and has serious impacts to her family's health on the worst of days. But they are, to me, realistic parents. They're selfish, concerned with their careers--a little bohemian, a lot pretentious--but neither are they bad parents. Not, at least, by a thinking society's standards; who among us honestly feel that having children should sound the death knell of your social life? Who among us, except perhaps for some of the Republican candidates running for the nomination, actually believe that once someone becomes a parent, they must cease to become a person? And so Eva and Franklin decide to have children, mostly to tick off the next thing on the list, and so they have Kevin. From the beginning, Kevin is off, different. He doesn't speak for the first two years of his life. Fair enough, your mind and the pediatrician in the book reason, many children don't. Eva and Franklin take him to the right doctors, they tick off all the things on the list. They do what you or I would do. Once Kevin ages a bit, he shows a normal range of vocabulary, when he wants to speak at all. Flippant and disinterested at even an early age, he nevertheless can charm the witless Franklin into believing he's a golden child, all while wreaking havoc on Eva anytime he is alone with her. Eva tries to be the model parent: she cuts back her work hours, she spends time everyday trying to enrich her son's life, she talks to him, she attempts to play with him. She ticks off all the things on the list. There is a pivotal scene in the book--and oh, I hope it's in the movie--in which Eva wallpapers her home office with old maps (she's made a business being a successful travel writer); she spends hours painstakingly announcing through the medium of wallpaper all the places she's been in her life, all the important things she's done. Her pride, her conceit, shine through as she surveys her fine work. And then Kevin, only a child, systematically destroys it all. This is when the family dynamic irretrievably shifts; this is the point in which Kevin declares war. But still, even as Kevin ages and displays ever more frightening behavior, Eva struggles to understand him, to assist him. When she breaks down to Franklin and admits that she feels that Kevin is deeply disturbed, she receives no succor from that quarter. Franklin feels that Kevin is fine, that "boys will be boys," and that the child is just a bit high spirited. Even when Eva suspects that Kevin has purposely and without remorse caused debilitating injuries to classmates and his own sister, Franklin merely accuses Eva of looking for someone to blame. And here again is a way in which the book's terror threads its way into you--this realization that the person you love, to whom you've pledged your life, will someday rank your children just ever so slightly above you. We all read about school shootings or watch broadcast after broadcast on the television, and the socialized part of us immediately says, "oh, how awful." 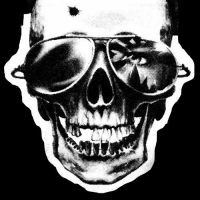 The disquieting part of us wonders just how high the body count is. But after the sympathetic gestures or the jokes in poor taste, what is left is always the smugness: "well, my kid would never do such a thing. I'd know how to look out for the signs." But that's not always enough. Eva saw the signs--hell, Eva tried to fix things, as well as she could--and it wasn't enough. And yet the book lets us think--lets us hope--that there might just have been a little bit more she could have done. It lets us wonder if Kevin could have been reached; it gives us glimpses into his vulnerabilities. So here we have it: parents who did what most parents would do and a child who might have been saved from himself if only people knew how to reach him. And if that is the crossroads to which we have arrived, is there any way at all to prevent sociopaths from turning us into target practice?